Tero teaches all the classes in h5001, Mondays 12:00-15:45. There might be changes to this initial agenda. Course ends at the exam in the end of the period. Course grade consists of homework (50%) and exam (50%). Homework is evaluated with homework reports and quizzes at class time. Homework reports are returned weekly, for example by publishing on the web and returning the link. We’ll talk about homeworks at the beginning of each class, and you can get oral feedback on your work. All homework is evaluated at the end of the course with one grade, based on a package of combined homework. Still, each individual homework must be completed before next class. Feel free to check comments from previous courses. Course uses Xubuntu Linux (xubuntu-13.04-desktop-amd64.iso). 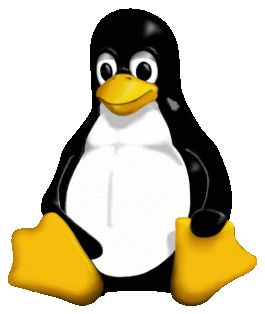 – Yes, since I didn’t have almost any experience about Linux so the course was very useful. – I might use my skills in home and hopefully in working life. – I wasn’t a big fan of the publishing assignments on the web and would have rather liked a text file drop-off option in moodle. – The test was okay. I was a bit confused where the answers should be posted so some answering form would have been nice. – Yes I would. Escpecially those who are interested in open source software. Thumbs up for this course. As a business student who was interested in learning more about Linux, I thought this course was exellent. I had some prior knowledge about the system from having it installed on my laptop, however having taken this course has learnt me so much more about it, more than just the very basic internet, office software, etc., e.g. I know the command line interface a lot better now, and learnt stuff about things such as Apache, ssh etc. As I’m not an IT student, I am unsure about how useful it will be in my future career, but hopefully what I’ve learnt here is something I can take with me to a future workplace as well. And if not, then at least I’ll use some of what I learnt here for personal use. Tero managed to hold interesting lectures, and a combination of homework each week, practise during lectures, and an interesting way of teaching, it was easy to pay attention to the lecture rather than other stuff. I would recommend the course, and especially to IT students, but could also be interesting to anyone who is interested in Linux. The course has been delivered well enough. Personally I had no knowledge about linux but after the completion of this course, I have been enlightned. All topics was well taught and I think having an other course as a continuation of this will good. Thank you for the course, the course was great. I was using Linux before but I learnt so much more during this course. I would come back for sure for the Advanced Linux if it would have been available in English. The only thing – I was doing all the assignments, getting ready for exam and still I found exam quite difficult. But otherwise, the course was great and Tero is a good teacher. For me linux was my first time ,I have learned so many thing .I like the way of teaching ,Espacially doing assignment in the class taught me many thing.The duration of the class was so long but still the class was nice.Keep it up.Thank! One of the best, if not THE best course I have ever been on in Haaga-Helia. Homework checking at the beginning of each class took too long. I learned a lot in this course and this course was very useful, because when I started this course I didn’t have any previous knowledge about Linux. Now I can use the command line and know how to connect to the server. Additonally I learned new programming languages. I will definetly use linux on my own computer and try it out more. The course was very good it was intresting at there where always something to do. The homeworks were also a good practice for what we learned in the class. I will defenetly recommend the course to my friends. Before this course I didn’t know much of Linux. I had come across Linux a few times at work through ssh and web servers, and I wanted to know more. During the course each lesson was fruitful. The practical approach on this course fits well to my learning. As a result of the course I have installed Linux at home for web-development purposes. I would recommend this course to anyone who wants to start with Linux. This is very nice course, but what makes it to be amaizing-is the teacher. I can pronounce this course to be the best from all the courses I’ve been studying for 2,5 years here. Tero gives the university level of teaching. It’s a pity that all the other courses are only in finnish, I would take at least couple more. I studied a lot cos somehow Tero can keep you focused on studying for 4 hours and makes it very interesting. I might use Linux in the future, but I need to study a lot more. I tried to study by myself, but it is totally different. Tero really knows how to motivate and it is wonderful that you can ask any questions without being scared of some shame. I am personally interested in the list of Linux programs what Tero personally use. Whould be nice to get this list about windows analogs in Linux from him. I would and I do highly recommend this course. Test looks fine so far. Tero, please, please (!) more English courses! This course is awesome start for the beginner!!!! Short sweet and fun atleast i felt i have learn something!!! Tero rocks!!! h4 voluntary bonus: Create an apt-get line to install your favourite software. Install 3 pieces of software using the command line. To make it harder, pick the purpose first. Analyze 1-3 lines of log of your choosing. Explain every part of the line in great detail. Do & report: try 3 new command line commands or flags. Choose commands that are new to you and not mentioned in the class or “Command Line Basics”. Just learn (no reporting on this subtask): Learn “Command line basics” by heart. Practice the commands a lot. There will be class quiz. – Install three applications using package manager. Solve three complete tasks using the programs. – List applications you are using on your old operating system (Windows, OSX, Linux). Notice the purpose of each piece of software. Find a Free alternative to each application. This writing task doesn’t require working on a computer. Homework h1: Burn yourself a Linux Live-CD. Try Linux Live-CD on a computer outside the lab (e.g. at home). Create a web page or a blog. Report your findings. Be specific: write while working, what you did and what happened; describe environment. Link to course and any other sources you use. You can return just link to Moodle (recommended). Bonus tasks: add the output of ‘sudo lshw -short’. Very difficult: find and download “machinotero”, add its report.